A Car Rental Italy service can be arranged quickly and easily. Search for a cheap car hire Italy quote and save money. 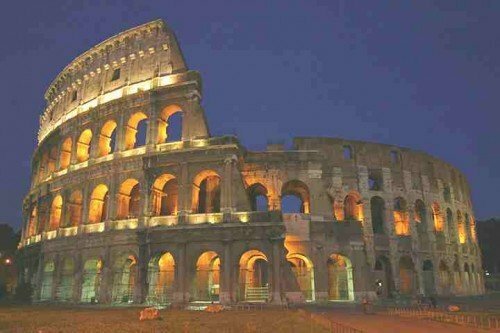 Popular holiday spots in Italy include Rome, Pisa, Bergamo, Brindisi, Bologna and Trieste. We have some excellent value car hire Bergamo Airport offers. It is probably among the most recognizable features on Europe’s map, Italy’s ever-stylish boot stretches through the Alps in the north, seven hundred and sixty miles south towards the Mediterranean. With so many sights to see, you will need a way of getting around Italy that is convenient and easy on the pocket. Compare our low cost car hire in Italy offers and make the most of your next trip to this fabulous country. Off the west coast of Italy lies the Tyrrhenian Sea while the on the east coast is the Adriatic. Having a population over fifty eight million and a land mass of three hundred thousand square kms – Italy is the 4th biggest country in western Europe and has so much to offer visitors and vacationers that you will be spoiled for choice. Visitors to Italy have long flocked to holiday along her dramatic coastlines and to explore picturesque Tuscan hill towns. Did you know that Italy also has lots of spectacular mountain scenery? Travelers to northern Italy fall in love with the Italian lakes such as Como, Maggiore and Garda which are surrounded by the breathtaking landscapes of Italy’s Dolomites. The Apennine range runs north-south through the vertical length of the boot. Delivering yet more beautiful scenery for the camera to devour, the Apennines are home to several of the world’s best known volcanoes. Sicily is the island right on the south-western tip of the boot. Sardinia is the big island off the west coast, in the Tyrrhenian Sea. No doubt about it, Italy is home to some of the most elegant and well recognized areas in the world. We provide Sicily car hire options at Catania, Palermo and Trapani. Our Sardinia car rental pickup points include Olbia, Cagliari and Alghero. Rome and Milan are well known for all sorts of reasons and regardless of whether you are searching for superb shopping facilities or just want to enjoy a laid back weekend, these cities have it all on offer. Picture yourself with a coffee outside a pavement cafe in Venice just taking in your surroundings. Of course Italy is famed for its style, and should you wish to keep pace up with the latest trends or love a favorite Italian designer, you will want to see what the elegant Italians are wearing. Why not visit some of the fashion shows whilst you are here? Italy is the spiritual home of football for many fans, and regardless of whether you’re an AC Milan or Juventus fan, you will not want to miss the opportunity to view a game in the San Siro or the Stadio Olimpico in Turin. With an unrivaled atmosphere and the most passionate fans, you will not experience anything like it anywhere else in the world. Apart from the organic beauty of Italy, its also the home of some fine cultural gems. It has a number of museums featuring the best in Italian fine art and culture. A few of the museums the country is rightfully proud of are the Uffizi Museum in Florence, the Aquarium in Genoa, and the Automobile Museum in Turin, among many many others. Throughout your travel in Italy, you can go to famous cities like Rome (Ciampino Airport), Bologna, Naples, Florence, Venice, Milan, and Pisa. Every city has something distinctive to provide that will be a delight to visitors. 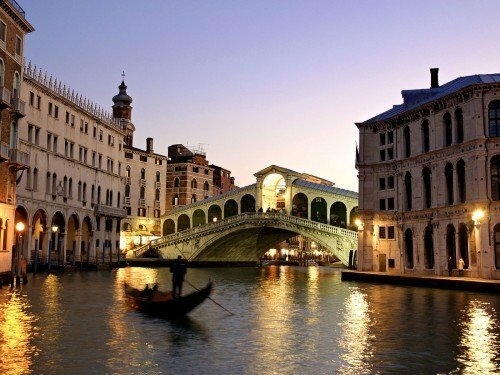 You can discover the remarkable and world-famous leaning tower of Pisa, the Vatican Church, and the famous canals of Venice while touring the excellent metropolitan areas of Italy. Aside from Italy’s fabulous scenery, you will love Italy’s great passion for food. This is the nation responsible for the best pizza and pasta in the world. Italy is also well recognized for its excellent and high quality wine that will garner approval from even those with the most discriminating taste buds. When in Italy, you’re sure to satisfy your gastronomic cravings. You will find a number of restaurants that can cater to each and every taste preference.